Contact your rep. CUNA’s Campaign for Common-Sense Regulation Relief website makes it easy. Post your support on social media. Tag your representative and add #CommonSenseReg. Ask your friends, coworkers, and members to do the same. We urge all credit unions to contact their representatives in Congress to vote yes on this substantial regulatory reform. CUNA and Mountain West Credit Union Association are encouraging credit unions to sign up for and use the Campaign for Common-Sense Regulation website. By working together, we’ll achieve real, significant regulation relief, so we can better serve our members and improve our communities. A credit union advocate is a team member and resource from within our greatest strength – our members! 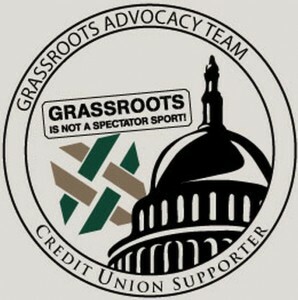 Once a member of our Advocacy team, we will focus on educating, informing and mobilizing the team to speak out on behalf of credit union member interests. If we could assemble just ½ of 1% of our 3.2 million members, we would have a strong army of supporters to help us advance initiatives that benefit credit union members. You can make a difference! Remember Grassroots is not a spectator sport! Get involved! Project Zip Code is a constituent matching program that connects credit union members with their state and federal representatives. As a result, it will illustrate the number of credit union members in each district and assist with credit union advocacy programs.